Straightening your smile has never been easier or more discreet than with the Invisalign® system. Orthodontic treatment with Invisalign® can straighten misaligned teeth, eliminate crowding, and close gaps between teeth without the need for traditional metal brackets and wires. Invisalign® works by adjusting the smile gradually with a series of removable clear plastic aligners. Whether your teeth are in need of small improvements or significant adjustments, Invisalign® may be able to help you achieve the straight, beautiful smile you desire. Treatment time may span over a year or less, depending on the degree of realignment needed to accomplish your goals. I finally have the smile I wanted for 40 years! It’s a process… but the end result is worth it. I highly recommend Invisalign dentists who use high tech scanning to build your treatment plan. You can see where you’ve been and where you want to go with the animations and accurate scans. Scheduling a consultation with Houston cosmetic dentist Dr. Ann Haggard is the first step in determining if Invisalign® is right for you. Dr. Ann is a trusted and experienced Invisalign® provider and was the first GP (General Practitioner) in Texas to become a ‘Premier Provider’ for Invisalign® in 2008. Since then, she has achieved the exclusive status of an ‘Invisalign® Elite Provider,’ which is awarded only to certified Invisalign® providers who have completed more than 300 cases of Invisalign® and who also continue to treat a minimum of 50 cases every six months. If the orthodontic work you require extends beyond the capabilities of Invisalign®, Dr. Ann will recommend a local orthodontist to perform primary adjustments that can prepare you for Invisalign® treatment. During your consultation, Dr. Ann will thoroughly examine your smile and develop a treatment plan based on her observations. Next, she will take a digital scan of your teeth to be sent to Align Technology Lab where your customized Invisalign® trays are fabricated. At Align Technology Lab, your digital scans are analyzed by advanced computer software and translated into three dimensional images that illustrate the sequence of movements your teeth will undergo to accomplish your treatment plan. Based on these images, the lab creates a series of custom-fitted, clear plastic aligners that will deliver your treatment. You will receive a new aligner approximately every two weeks until your treatment is complete. Throughout the duration of your treatment, Dr. Ann will oversee progress with regularly scheduled six-week checkup appointments to ensure that phased adjustments are proceeding as planned. More patients are now suitable for treatment with Invisalign® than ever before. A consultation appointment with Dr. Ann is all that is necessary to determine whether or not you are good candidate for Invisalign®. You may be surprised to find out that Invisalign® can resolve complex orthodontic concerns that go beyond straightening mild to moderate tooth misalignments. Today’s Invisalign® can treat crossbite, underbite, overbite and other complex tooth alignment issues. If Dr. Ann decides that your smile is in need of more intensive orthodontic treatment than Invisalign® can provide, she may develop a treatment plan that involves combination work with a local orthodontist to help you achieve the straight smile you desire. We have provided informative answers to the most common questions we get about the Invisalign® process to benefit prospective patients who are considering treatment. If you would like to know more about Invisalign® , please contact our office. Who can benefit from Invisalign®? Many patients with tooth misalignment or gaps between teeth can benefit from Invisalign®, even those with bite concerns (crossbite, underbite, and overbite) and other complex tooth alignment issues. Teenagers and adults alike can enjoy the freedom of clear, removable Invisalign® aligners. To find out if you are good candidate for Invisalign® (or if your child is a good candidate for Invisalign® Teen), please schedule a consultation with Dr. Haggard. What does the Invisalign® process involve? Dr. Haggard will first evaluate each patient to see if they are a good candidate for this treatment. Next she will take a series of digital impressions of the teeth to be sent to the lab. Then, the appropriate number of Invisalign® clear teeth aligners will be custom-created from the impressions. Every two weeks a new set of aligners will be sent to the patient, gradually shifting the teeth into a straighter position, until the desired aesthetic results have been achieved. How long will my Invisalign® treatment last? The length of Invisalign® treatment varies from patient to patient. Everyone has different needs, and while some patients might wear aligners for six months, others might wear them for one year or more. The most common treatment time is usually somewhere between 9 to 15 months. Typically, each aligner is worn for two weeks and then replaced by a new aligner in the treatment series. 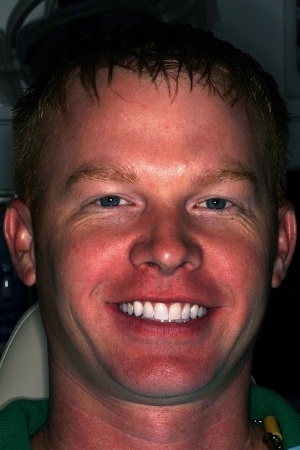 This process continues until all aligners have been worn and teeth reach the desired degree of straightness. 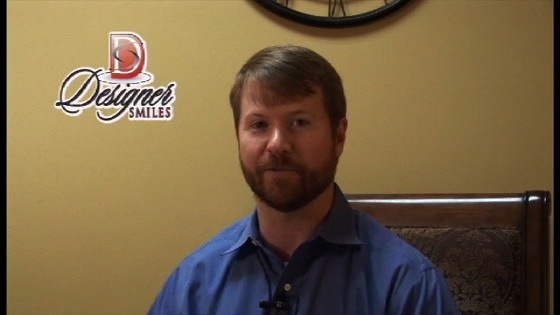 The cost of the treatment will depend on the patient’s needs and how long Dr. Haggard recommends the aligners be worn. We accept several forms of payment including credit cards and offer financing options through CareCredit® to make this treatment more affordable for our patients. Please call our office and we can also check if Invisalign® is covered through your dental insurance. What are Invisalign® aligners made of? Invisalign® aligners are made out of a strong, clear thermoplastic material, which is customized to fit each patient’s mouth and progressively move the teeth. The aligners are virtually undetectable when worn and may appear similar to custom teeth whitening trays. Do I have to wear my Invisalign® aligners when I eat? Invisalign® aligners can be left in while drinking, but should be rinsed afterwards. Using a straw for liquids other than water is recommended. While eating, it is best to take out the aligners, so as not to crack or damage them. How should Invisalign® aligners be cleaned? To clean your aligners, run them under warm water while scrubbing with a toothbrush. This will ensure any buildup of food and sugary drinks is removed. Are Invisalign® aligners better than metal braces? While some patients may only benefit from traditional metal braces, many find Invisalign® can work very well for their orthodontic needs. These aligners are commonly associated with terms like comfort and convenience, and our patients typically find this to be true. For more information about Invisalign® or another cosmetic dentistry procedure, contact Designer Smiles to set up your personal consultation. Our friendly team can help schedule your appointment and answer any questions you may have about treatment.